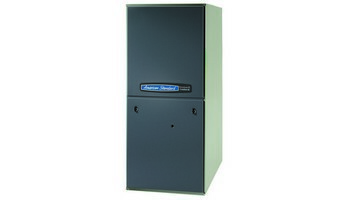 Platinum Series Gas Furnace Our most efficient and powerful gas furnace just might be our most comfortable too. With AccuLink communicating capability, continuous Comfort-R mode and an array of other innovative features, the Platinum Series gives your home maximum efficiency with controlled comfort. Gold Series Gas Furnaces High quality and high efficiency mean a high standard of comfort for your home. The Gold Series offers just that. Whether you choose variable-speed technology, or a two-stage offering with the power to increase your overall system efficiency, you can be sure that each one contains American Standard’s quality craftsmanship. Silver Series Gas Furnaces Designed with value in mind, the Silver Series provides you with the comfort you want, the efficiency and durability you need and, of course, the American Standard commitment to quality you expect, A higher standard of comfort in your home begins with a higher standard of efficiency and reliability from your American Standard gas furnace. That’s because the pursuit of your perfect home environment, along with energy efficiency, goes into every gas furnace we make, from the ultra-quiet motor down to the smallest screw. Whether it’s our ultimate Platinum Series, our hardworking and efficient Gold Series, or the reliable comfort of our Silver Series, every American Standard gas furnace is built with a higher standard of comfort in mind for you and your family. American Standard’s reputation for performance and reliability has its reasons. Every gas furnace we produce includes an array of innovative features carefully constructed to not only create a comfortable environment in your home, but also give you the utmost in energy efficiency and durability. It’s an approach we stake our reputation on and an approach your family can enjoy for years to come. Quality and durability are built into the DNA of every American Standard Heating & Air Conditioning product. And our new 34" tall S9V2 gas furnace is no exception. With innovative features that make it more efficient in both heating and cooling and a gas efficiency rating (AFUE) of up to 96%, the S9V2 provides significant energy savings every season of the year. And our commitment to testing is an invaluable part of that DNA. Because at American Standard, we strive to exceed industry standards. So when the minimum testing requirement for a furnace heat exchanger is set at 10,000 cycles, we run it 25,000 times instead, subjecting it to rapid heating and cooling that will uncover any weakness in design or materials. We think “going the extra mile” is worth it, because we build our furnaces to last, not just in the lab, but where it matters most, in your home.